There are a lot of dull hours in analysis when nothing seems to be happening. Of course there is the occasional Eureka! when the heavens part and for a time all is clear, but the lasting revelations, the enduring insights, generally come only after prolonged attention to the mundane. This is quite a shock to those who go into analysis seeking the divine. 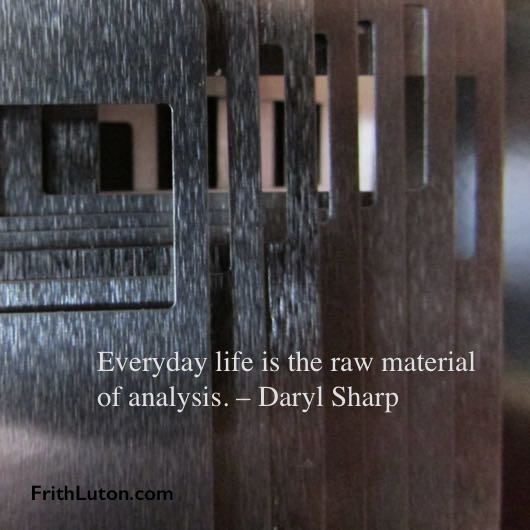 Everyday life is the raw material of analysis. It is analogous to what the alchemists called the prima materia, the lead or base metal they strived to turn into gold by melting and running its vapours through flasks and retorts, a process of distillation similar to making strong liquor from wine. The alchemists’ distillatio is akin psychologically to the process of discrimination: the differentiation of moods and fantasies, attitudes, feelings and thoughts, with close attention to the nitty-gritty detail of conflict in relationships—the “he said,” “she said” encounters that in the moment bring you to a boil and make you cringe when you cool down. All this, the base metal of your miserable life, you write down in a journal. That takes some discipline, but if you don’t write it down you don’t remember. Of course you can’t record everything. You’d get lost in the forest and miss the trees. You note the highlights, particularly emotional reactions—because they signal the activation of complexes—and your conscious attitude toward them. You reflect on all this, mull it over, and then take it to your analyst. Time is a big factor in this process. An hour or two a week with an analyst is never enough, but when it’s all you’ve got you soon get used to it. In any case, the real work is what you do on your own between sessions; and if you don’t do much on your own, then very little happens. Time was precious to Nikolai Kusmitch. He spent his days hoarding it, saving a second here, a minute or two there, sometimes a whole half hour. He imagined that the time he saved could be used to better advantage when he wasn’t so busy. Perhaps it could even be tacked on at the end of his life, so he’d live longer. He sought out what he thought must certainly exist: a state institution for time, a kind of Time Bank you could make deposits in and then draw on. He didn’t find one, so he kept the loose change in his head. Nikolai Kusmitch did what he could to economise, but after a few weeks it struck him that he was still spending too much. “I must retrench,” he thought. He rose earlier. He washed less thoroughly. He dressed quickly, ate his toast standing up and drank coffee on the run. But on Sundays, when he came to settle his accounts, he always found that nothing remained of his savings. In the end, Nikolai Kusmitch died as he had lived, a pauper. Working on yourself is something like that. You can’t save it up for Sundays; it’s what you do during the week that counts.